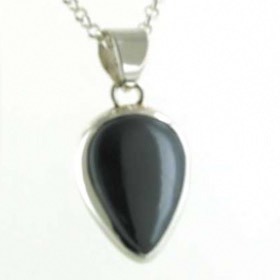 Smooth, metallic and a fabulous gunmetal grey colour, a haematite pendant will draw your fingers to run over its perfect surface. 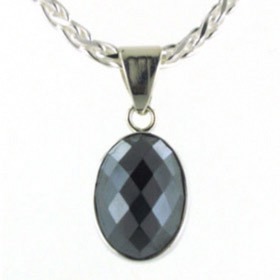 It has a metallic structure and whilst it is sometimes has reddish brown banding, we have chosen the pure gunmetal stones. 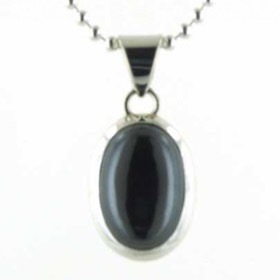 See our haematite earrings to go with your haematite pendant. 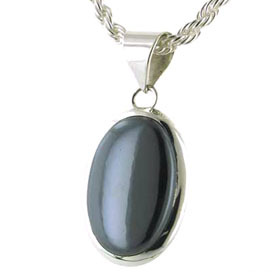 Haematite looks excellent with plain silver, black onyx, rose quartz, labradorite, shell and pearls. 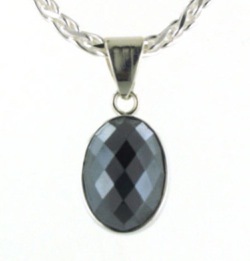 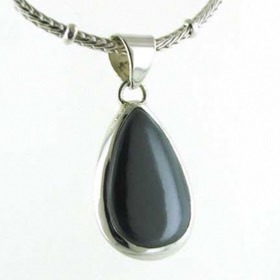 Choose a silver chain to hang your haematite pendant.